Don’t get us started on the marketing failure that is the Chevrolet SS. Okay, well, you opened this link so we’ll lay out a few things. Why on earth was it named the “SS”? To invite confusion to the masses, apparently. Ask any owner how many times their Chevrolet SS is misidentified as an Impala or Malibu SS, and we’ll bet you it surpasses one handful. Names and brands are powerful things, and SS doesn’t evoke anything but vague thoughts of a performance trim. How could it be tapped as Chevrolet’s NASCAR racer, yet fly under the radar through promotions? We invite you to list the last time you saw promotional content for the SS via digital ads, television or print. We’re not holding our breath. Enough with the rants, though. With Camaro lead engineer, Al Oppenheiser, stirring up rumors of a replacement for the oft-forgotten, yet always loved, Chevrolet SS, we think it’s time to have this conversation: retarget the Chevrolet Impala, and take on the Dodge Charger. The Impala name is widely recognized. Younger and older generations know exactly where the nameplate comes from, and its storied history plays well into performance and luxury. It holds exactly what the SS always needed: brand recognition. The Impala name alone solves one of the SS sedan’s major problems, its tendency to go unnoticed with its name, and arguably its sleeper-status looks. Here’s where we’ll build our engineering case, since we already built the branding one. The Dodge Charger is a good car, but it’s old, and it’s starting to show in a few areas. It also plays in a segment nearly all to its own. What other vehicle offers a performance oriented V8 engine and four doors for the price? 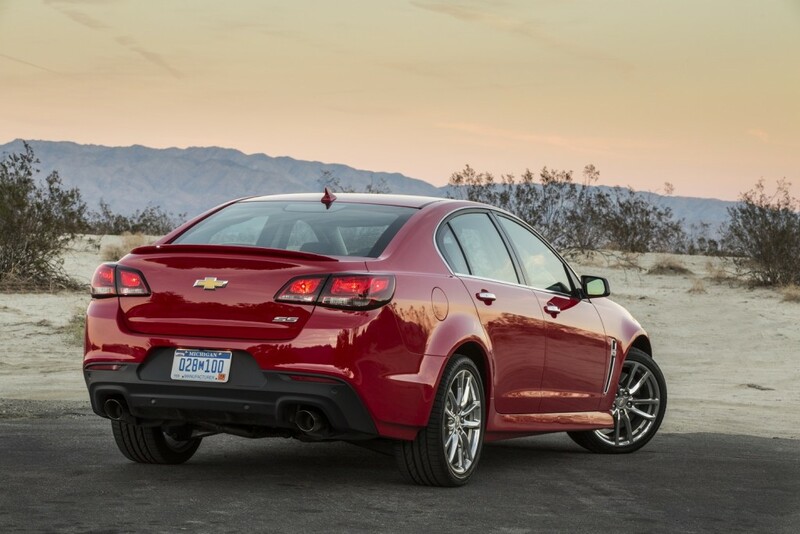 Not even the Chevrolet SS is as affordable to step into V8 power. The Alpha platform is already proven to build award-winning sedans, see the Cadillac CTS and ATS. So, the bones are there. As the Chevrolet Impala continues to be eclipsed by the Chevrolet Malibu (their lengths and dimensions are almost identical now) it’s becoming harder to justify the Impala’s existence within the Chevrolet lineup. Engineering a Chevrolet sedan on the rear-wheel drive Alpha platform would provide more than enough differentiation from the Malibu, and it would be able to smother the Charger’s capabilities. Alpha fits turbocharged four-cylinders, naturally-aspirated V6s, blown V6s, naturally-aspirated V8s, you get the idea. Chevrolet could create an all-out powertrain war on Dodge’s V6-V8 only lineup with the Charger, unlike the current SS which only arrives with the LS3 V8. It would provide the scale, and the price points, to move more and create an attainable halo vehicle. Oh, and it could fit a proper manual gearbox, too. So, the family-hauling Chevrolet Malibu sets its course to do the mundane things really well, and there is now a reason to keep the Impala from dying off, which General Motors is seriously looking at making extinct. Development costs are still offset by platform sharing, and enthusiasts no longer cry fowl over the lack of a performance sedan. You can’t give us a car like the SS, or Pontiac G8, and then simply take it away forever. The success of the Charger and 300 should be telling. There’s a market out there, it’s simply that the SS could never reach it with demand. Not everyone wants a V8, and the ones that do will snap them up within one year followed by stale inventory the next three years. If there’s one way to help shed the Impala’s rental car image, it’s to get serious about the nameplate before Malibu and Impala really become redundant, which we’d argue is already occurring. We know it would make Americans happy, but we think it’d have even better repercussions with our friends down in Australia, too. This is why Pontiac should be a two-car program at Buick-GMC dealerships. There is a market for a larger, no-frills E2XX car. Rentals and fleets would love a return to the W-body Impala days. They actually want the cheap plastics and bargain bin pricing. And you could pull a Captiva and sell that car to those people alone, limit marketing exposure. At the same time, Alpha needs something other than Cadillac and Camaro to prop it up. Consumers have shown they’ll defect to Dodge and Hyundai – and Hyundai just made good on my predictions with a budget Genesis program being green-lit. If Fiat can drop its solid engine in a Mazda, GM could put an LTG into an MX-5 too, and have a 300 hp, $30k Solstice. Pair that with a reborn G8 GT – and everyone from California to Melbourne would be happy for once. Well I hate to break the new to you but Pontiac is dead and will remain dead as Chevy and Buick can do anything that two cars named Pontiac can do. In fact the last 30 years of Pontiac were mostly for the most part Chevys. I know that for a fact as I owned many of them. Red dash lights, some cladding and better styling but still a Chevy under the skin. The added cost of bringing in another brand is not in the cards as it only adds more cost and expenses. Dodge mostly sells cars because they are cheap. If you look the return rate is around 25% on many including their RWD cars. They are not all that healthy right now and had better hope Mazda will joint them to cut cost or they will be in trouble. Hyundai RWD cars started out well for a year or two and since then has has failed with the coupe and done ok with new luxury cars. Again because they are cheap. Neither are burning up the market with profits like their FWD cars. Fiat has a solid engine? As for a sports car GM could do one but until they are ready to do one globally there is no reason to do another 4-5 year car, That is the average life span outside a Corvette or Miata. GM is not going to use a Miata platform as they could do one themselves much easier and by the looks of Fiat’s version Mazda has nothing to fear of them. Also the car would not take a larger engine with out work. Even Mazda limits the size in their own model. I think it best to leave GM to their own choices here as right now we are seeing the results and they are doing more than fine. Profits are up sales in general are doing great and they are able to invest into new product unlike many other companies looking for dance partners to share cost. It was reported even if there is a economic down turn GM is in a very good place with controlling cost unlike many other brands that are struggling. We have yet to see the last of Automakers die and as of now GM is not on the list of at risk makers. I am as much or more a Pontiac fan as anyone and you have got to learn to let it go. The continued dreams of bring Pontiac back anytime soon are as bad as having grandma stuffed and put i the family room because you loved here. Pontiac was a tough business decision but killing them was the right move. Sometimes you have to lose a finger to save a hand. Although most of us GM fans have a nostalgia for Pontiac, it has to be realized that Pontiac is dead and the chances for resurrection are slim to none. GM decided Buick and China (i.e. $$$$) are more important than what the nostalgic American consumer would rather have in a namesake. There will be no reborn G8, the SS needs to become the Impala SS off of the CTS length Alpha platform. It needs to have the same model structure, pricing structure and engine/transmission combinations offered in the Camaro for the sport sedan enthusiast. I would love to see a smaller coupe or convertible like the Solstice, but if GM ever decides to green light a platform such as that, it more than likely won’t show up in a niche two or three car Pontiac lineup. I agree with everything but the size. It needs to be bigger than the CTS if it’s going to compete with Charger. I’m 6’4″ tall and I can sit behind myself in my G8 and in a Charger without having to splay my knees around the front seat. I can’t do that in a CTS. You’ll have lost customers already if you make it the size of the CTS. I haven’t heard a sedan buyer complain of too much room in the backseat….. though I’m sure it’s possible. But… where are they going to build it? Lansing is the only place that can build the Alpha, are they at capacity already? Putting a high-numbers Impala through there might compromise the quality on the entire portfolio of Caddies and Camaros as well as the Impala. 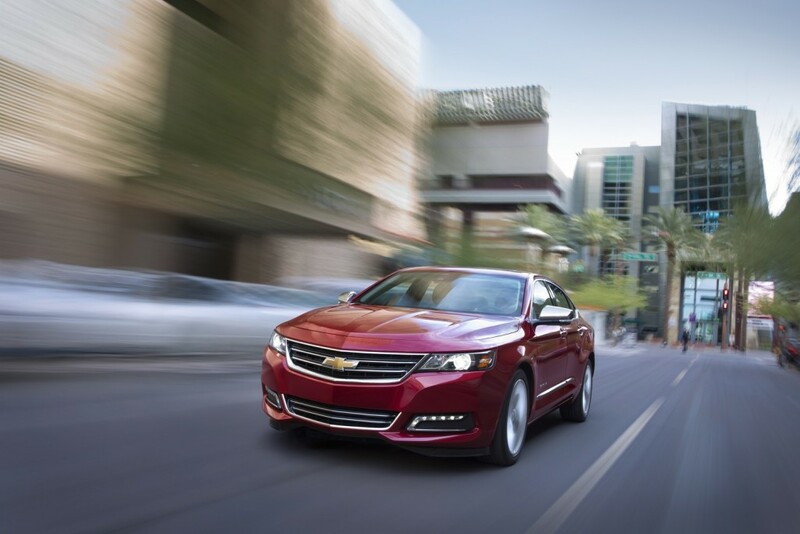 The Impala would not be a sales leader or rental lot queen as it is now. Moving the Impala to the Alpha would rightly increase the price and it would become a lower volume model. The Malibu is close enough in size now to take over where the current Impala would leave off and it could increase volume as they would not be cannibalizing sales from each other. Lansing would be at capacity… if CTS and ATS were meeting sales expectations. They aren’t, opening the door (both in terms of demand, and production) to a G8/Impala/Caprice option on Alpha. It can’t and shouldn’t be. If there’s going to be a RWD Impala, it will almost certainly be built on the Omega platform, unless they’re going to engineer extra length and width to Alpha. The largest Alpha application is the midsize CTS. If the next Impala gets put on that platform, expect it to be panned by critics for shrunken interior room. Omega, for it’s size class, interior room, weight savings, and tooling that requires payment is the only logical choice, especially given that Alpha isn’t a flexible, modular platform. Omega would be a good choice, but may be too expensive for a Chevy. The CTS has as much room as the current SS and would be just fine for the Impala namesake. The Impala would be the enthusiast car rather than the cruiser land barge it was long ago. Can’t go with that. If the Impala goes RWD, it must be fullsize and compete with the Dodge Charger. If not, it will turn off buyers expecting a roomy Chevy sedan. I don’t care whether they somehow engineer an extended Alpha platform, or use the Omega platform. A shrunken Impala will surely last one generation. Make it roomy enough to attract big sedan buyers who don’t care about performance, engineer the platform for those who do. I could never predict what GM might do, but if the SS goes to Omega as the Impala then you’ll see a car that is more expensive than the current version before it even gets a V8 or it will get panned for the shortcuts they have to take to bring it downmarket. An overly expensive Chevy will definitely ensure one generation more than its size would. The CTS is very similar in size to the Charger and SS. Plus the Charger can’t get anywhere near the handling prowess of the Alpha platform. Test drive the current SS back to back with a Charger and the Charger still can’t hold even the Zeta’s water. Omega is a non-starter for Impala. Ford tried that with the Taurus. They took the (aluminum-frame) Volvo S80 and restamped everything in steel. The high-output V6 was pulled down by weighing too much. To build Impala on Omega, you would have to ditch the expensive metals – the result would be too heavy. Christopher Price this is why I am glad people like you are not making the decisions at GM! Any comments that start off with pontiac needs to be offered should be removed from this site! Face it dude pontiac is over and done get over your depression about it and move on. We are tired of hearing how much you need or want pontiac to come back. Just stop already! Maybe If you dipped into your pockets and supported the rest of GM like you do pontiac the rest of GM would be better off. You don’t hear Oldsmobile guys complaining about the fact that it’s gone. It must really hurt deep down inside to know that you will never be able to buy a new pontiac ever again. I hope a next generation chevy ss gets built on alpha so GM can continue to have that type of car in its lineup. I just hope it carries a bowtie on the hood so those pontiac guys will have a new thing to complain about. Well here is the deal. Sometimes you have to wait till you can make what you want and need. Not even the mighty GM can do it all at one time. Lets look at what we have had and what we may see. What we have now is a new Alpha that Cadillac paid most of the development of getting it first. That was a given. The first Chevy that should get it is the Camaro. It is the largest selling version of the Zeta and needed an update ASAP with a new Mustang out or be left behind like Chrysler who is not even tested against the new cars anymore. We knew how long the Zeta was going to be built and we are now at the end of the line. We also were told to start with they would built 2500 or more SS depending on demand. GM did not really expect much but they did answer the call of the folks who like to cry please built it all the time. The fact is they were not going to invest heavily into a car with a limited shelf life just as the new Buick convertible that will disappear in about 3 years. In the mean time the FWD Impala has done a decent job holding on till a new platform was ready. Now we have the Alpha that originally was not RHD. Why because the plans at the time it was started was not to go global… Since then Holden is shutting down the Zeta and Cadillac has new management that wants to go more global. Because of this we should see a updated Alpha that will be even more refined with less weight and engineered to be LHD AND RHD to make it possible to go global. We should see this first in the CTS and ATS updates soon when they move to a CT name. To follow this you really need to follow the project time lines and platform time lines to see what is being done where and by whom. Here is what I speculate we will see. An Alpha sedan based on the under pinnings of the Camaro updated so it can be a Holden. It will be a 4-6-8 cylinder car. The name will be for Chevy an Impala and will change with some styling for the other brands. It will be sold globally including the middle east and even south Africa and South America. This global volume makes a business case much easier to approve and gives the car to more markets that could not support alone. With the Malibu moving up it has given Chevy the Ability to expand the roll of the Impala into a new area and give them something Ford no longer offers a RWD sedan. Expect the old Impala to server out in fleet sales in a classis name much like other Chevys in the past. You will see GM approach NASCAR soon about approval on a body and see testing at some point. I would also expect Mules to pop up but they may be rebodied as Cadillac’s and you may not see much. This is very common anymore. We already have a post on this site about a RHD Camaro and that also is part of this deal. The fact is GM has only so much money and staff to Design, engineer and build co many projects at once. They can not redo all lines at one time and that is why everything has to come in it’s own time. Most of these projects were things they would have liked to have had 4-5 years ago but they had to wait till it could be put in line with other projects that also needed finished. We all need to be patient and let GM finish what they are doing. They too want the same things we want but it takes time, money and man power that has to be allocated over a period of time. Just one project can be several billion dollars and even with their large engineering staff they can not put them on all the projects at once. I expect with GM leaking this out we may see things come about around the 2018 model year at some point. I see the present SS as like the Cleveland Browns. No one said they would make the Super Bowl. Most agreed they were not a play off team. But there was a loyal fan base that wanted this car and GM could leverage out some extra sales from Holden. GM made it clear that it was going to be low volume and a short term car so I see nothing disappointing here. I think we all saw the information and only some did not get it. As for those who said just build it I hope you did and if not where were you? I’m suprised Malibu survived; that Impala didn’t slide into the mid-sized space but, since that didn’t happen, a V8 RWD Impala is the only way to save the name plate. The car is already built and all the must be done is an ATS or CTS reskin. Maybe a 4door Avista could be restyled for Chevrolet? This is an easy job regardless of which vehicle program being poached. Buick should not be forgotten. The tri-shield also needs an affordable halo. What surprise? It has been the best selling GM sedan for how long now? Best selling sedan in the US. Cruze equivalent is best selling worldwide, correct? They build the Camaro on the Alpha so how will building the Impala diminish the exclusivity of the CTS? I’ve said this for a while now. RWD standard, optional AWD, turbo 4, NA4, 6 and 8. Alpha is too small for a viable US cop car IMO. Omega Impala maybe. Not really the CTS is larger than the Ford Police car. That’s what I thought at first as well but after checking Taurus is larger than CTS. It’s even larger than Impala, but has lower passenger volume 102 cu.ft. vs 105 for Impala. Taurus is very cramped for a full size sedan that’s why I thought at first that CTS might be larger. The Taurus is a box that holds less. An Alpha sedan would be of good enough size and would also keep weight down. The key to this is to keep the price right so it can be sold as a Chevy, The Omega would add cost. Also you must not target the Chrysler two ton whales as they will be going away soon. I expect their replacements to be smaller if they ever get around to them. Their platforms are so old now and are in desperate need of replacement. Low mass is the new HP war. Lowering the mass of a car adds handling and braking Hp can not help with. You will find the Hellcat even with a big number HP engine will not come close to the new Camaro Zl1 and even the better versions of the Mustang. All the HP in the world is useless unless you can use it and use it effectively. Chrysler is being left behind because Sergio has stolen their Jeep profits to prop up his Italian divisions who are still disappointing while the money should have gone into Dodge and Chrysler. This left the engineers to bring back the Hellcat program they did a couple of years ago to garner some headline while GM and Ford both move forward with new world class platforms. As we move forward the key to performance surviving will be lowering the mass and adding performance outside the engine compartment. The lower weight will help keep a V8 under the hood a little longer. The the suspension from the Camaro add it to a longer wheel base car with a decent back seat and you will have a car that will appeal to a larger group. Make sure to offer it in all three engines and try to keep it priced in a decent range but do not contented it to the point it becomes a crappy car. Being the car is in the hands of the same people who did the Camaro I am sure we will be happy with the results. Scott3, in regards to Chrysler i read something on a finance site a while back that showed that Chrysler Motors was in actually doing a lot of things right until the merger with Fiat ( or it could have even been prior to the 1998 merger with Daimler). I was looking again for the article to no avail. It will be interesting to see if they are capable of coming up with an automobile thay can compete with the Mustang/Camaro or even a sedan. It unfortunately appears that FiatChrysler will be a distant 3rd. Also in regards to Chrysler, the Chrysler 100 Sedan was to be out soon. unless that is scrapped? This needs to happen! I’ve been saying the Impala should be put on a RWD platform with a V8 to compete with the Dodge Charger ever since the announcement that the Commodore/SS would die. There again the Alpha was not ready yet. Impala ZL1 does not sound right. How about a Impala Z11..
You already had a 4 door SS Impala in the 90’s just call it the Impala SS. Don’t forget the police market. I’m sure the law enforcement community would like to see a heavy duty Chev rwd sedan with v6 and v8 interceptor engine options. So if the Impala is built on the Alpha platform it will now be a midsize car instead of a full size? Alpha only builds the ATS, CTS, and Camaro, basically compact or mid-size cars. So it sounds like the Impala will now be a mid size. The current Impala has a 111 inch wheelbase, the SS has a 114 inch wheelbase the same as the CTS. So how is going to Alpha going to make them a midsize? Vca, the Alpha platform does not build a full size car. it is not set up for it. The CTS is a mid size car and the largest that the ALpha platform is set up for. Wheel base is not the only thing that puts a car in a certain segment. The Omega platform is for full size GM cars. Scott is absolutely accurate, there will be an impala based alpha. I’m not GM staff but if you pay attention to the time lines of the vehicles, especially the performance lineups you can see what’s gonna happen. All of the top executives at GM are enthusiasts and former engineers in their own right, we know the SS was never meant to truly be the car we all wanted and with Holden closing we knew its time is limited. They brought it here to appease the small enthusiast crud in the US and also as a test the market to see if investing and developing a new vehicle was even worth it. Considering this vehicle sold these #s at its price point is remarkable considering it had no marketing at all after its Nascar introduction. Notice that we have heard nothing about the Impala, no refreshes to the exterior etc. The Impala is Chevy’s XTS, the fwd place holder for the true Chevy Impala to come. Just like Caddy the platform wasn’t ready yet and even then the Impala definitely wasn’t top priority. I wouldn’t be surprised if they have mules riding around testing under caddys now! We will see mules before chevy confirms anything. As for styling I think the Impala should have four door coupe design to compliment the vette and camaro with the tail lamp signatures and a more aggressive redesign on the split grill to give the front facia a new look. I think a longer wheel base should than the CTS should do, stretch it a inch at least for rear seat room. It’s coming guys we just have to wait a lil bit longer but know we won’t be disappointed!! This story sort of tells you the hierarchy within General Motors and unfortunately for Buick, they’re the low man on the totem pole because Chevrolet who already has the Alpha platform based Camaro will now potentially get the next generation Impala using a modified Alpha chassis as well; but for Buick who’s Avista got everyone talking is out of luck as General Motors said the Avista wasn’t worth the financial investment. Well Buick is not low man but Buick does have a different mission. In North America Chevy is the volume brand and needs the volume to make money. Buick is now a global and has had that mission changed recently to also include Australia and a as well as China and Europe with Opel. Buick is also not a volume brand anymore. With the latest changes at GM the Buick Opel and Now Holden lines have changed and it will take a little time to put them in actions. For a car like a Avista to make it as a coupe you would need Opel and Holden as Buick North America alone would not sell enough for it to be around long. That means a RHD would need to be readied before they make a move like this. Coupes are a hard sell and you clearly would not sell as many as they do the Camaro in North America. Also if they would like to make a Coupe styled sedan it would take some time to revamp the design to better fit this growing segment where they could sell twice as many units. The truth it you just can’t say just do it as you have to make sure you have all the things you need to pull it toether and you also need to make sure you will sell more than 50K units. The Camaro alone is generally targeted at 100K units per year. A higher priced Buick would be expected in the $75K range over long time span. Not an easy thing to do in the coupe segment anymore. Global sales could make it happen once a RHD Alpha arrives as we will soon find. Also you have to factor in to build the Avista it would be at the least 4-5 years even on the Alpha as what we have is a show car that still needs a lot of engineering since GM has made it clear it was done by the styling department and no real engineering is done yet. What would the market be in 5 years? Like Jimmy Buffet says there is a lot to think about. You guys forgot the aspect of using a rwd Impala to enter the police interceptor market which currently has the Charger and Taurus. I own and SS. Why did I buy it? Four Doors, V8 and a manual transmission. If they start putting in TT V6’s or a 4-banger..well, I’d pass. I bought the car because I wanted that V8. I also thought about a charger for years, but the lack of manual transmission was a deal breaker for me. If they build a new “SS” on the alpha platform it should be even lighter which would make the SS even better. Seeing as how they both sell in limited numbers I think it only make sense to combine the two. Make it rear wheel drive with a variety of engine choices from 4 ,6 and 8 from mild to wild. Make it more affordable than the SS and slightly higher than the Impala and name it Impale. The wild one named Impala SS. Offer it with a police package offer it as a rental car get rid of the classic or whatever they call it. This way they can better separate it From the Malibu. The next generation Impala would be the perfect time to do this. Much more than three years would be tool long to wait. If they offered an Impala with RWD, offered 2 engines, started pricing at about $35K and topped out at $42K, it would sell. The “SS” version wouldn’t need to be 425hp, or even 400 for that matter, 375hp in a lighter weight package would be plenty for most everyone. If they make the cars $50K like the current SS, it will simply set around like the current SS. Some dealers in my area refuse to order the cars completely. Another interesting reality, when a lightly used “14-15 SS is priced at around $36-38K? they sell fast! I have already missed out on 2 Heron White 2014’s, simply sold faster than I could get there. I know just wait till they are a year or two old then they are reasonably priced. As we already know, the current SS is also sold as a police car. I would believe that GM is working on a good replacement for the SS/police car. If they need size, they could beef up the Impala with rough service parts and a serious 375HP v6 engine. I’d still rather see a rear drive V8 police car. The police car market will still hold up as everybody moves more into SUVs. A side note on the FWD Impala. Even though the new Impala has gotten off to a slow start, as I see more of them on the road, I like the style/design of this car. If Chevy offered a SS type version with a serious engine, I believe it would post very good sales figures. We the People would like a navigation options that we can live with $32,99 a month is way too high, something around $7.50 would be fair for all involved.